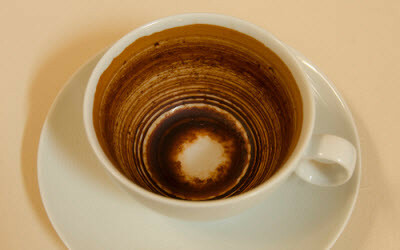 Tannin problems | How to remove the stains from cups and saucers? The build-up of the tannin can occur over a period, and will be even worse is the glasses aren't pre-washed. 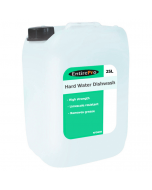 The glass washer machine will start to loosen the tannin at around 60°C, but when the hot rinse occurs at approximately 90-100°C, it bakes back onto the porcelain and makes the marks harder to remove and more stubborn. A lack of rinse aid can further exacerbate this if you think your machine isn't using enough rinse aid, you can check this by marking the bottle with a marker pen or some tape and then completing a few washes. What can be done about Tannin stains? 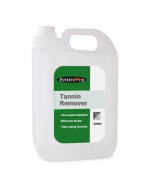 Tannin Remover is hugely effective at getting rid of tannin stains, either by using it directly in the dish/glass washer or by soaking the stained item in the chemical before running it through the machine.